I know enough people who have dreamt of starting a company, but they never took the first step. You need courage, and the mindset of an entrepreneur, to test the waters in the ocean of startups. Entrepreneurship is not for you if one of the following is true for you. 3. Startups are a hot topic during lunch and weekend parties only, but no one does anything to make them a reality. 4. You know how to make quick bucks by fooling people, and you think the same tactic can be applied to a startup. 6. Do you remember the last time you took a risk -- something like taking leave for two weeks for vacation without your boss’ approval? 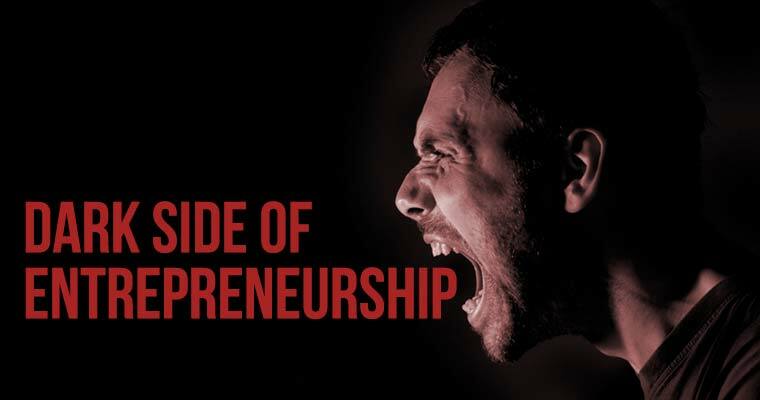 Entrepreneurship is about confronting brutal realities of life where you have to take the risk on a daily basis. 7. You seek an expert’s help to move forward in an unfamiliar work situation, and are afraid of challenges. 8. You don’t try new things because statistics say that the probability of failure is 90%. 10. Last one -- you know everything and you don’t like learning from juniors or peers. 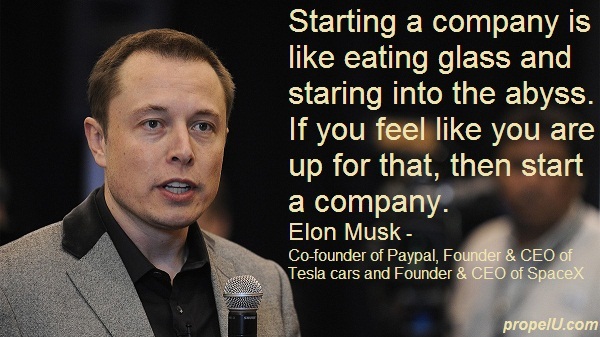 You only learn from CEOs because that is your primary goal of doing a startup. Your potential investors may ditch you after promising funding. You know it’s not an easy journey. You have to bear a lot of pain. It is scary to leave your job and follow your passion. We hear success stories of startups, but no one tells us how many failures are buried under that success. Frustration hits you like the monthly mobile bill. Every month, we plan something great, but plans fail quite often. We can't avoid the frustration of failure, but we can learn how to handle it. You doubt your decisions many times. You won't find anyone to help you out. This is a side effect of becoming your own boss. You can't ask for directions all the time, even if you have mentors. You doubt yourself. After continuous failures, you start feeling like you aren’t worthy of anything. Persistence and perseverance are keys to tackling such a situation. This happens with almost every entrepreneur. Addiction to anything has an adverse effect on life. It’s even possible for someone to become addicted to smoking or alcohol after starting up, as they use it to alleviate stress. Bad sleep habits take the front seat when you have to deliver a product in time. There is so much chaos, from customers and employees to family, that you often mess up your sleep schedule. My own bad sleep patterns began to affect my productivity, so I started waking up at the same time every day irrespective of my sleep time. My routine adjusted automatically to my sleep timings. Have you experienced this when you don't give time to your girlfriend, wife or kids? Even when you sit with them, you talk about recent funding news, or your difficulties in hiring, or how tough your customer is. Give it a break! Spend some quality time with your family. A very likely situation for bachelor entrepreneurs. You won't have time to cook food. You will subsist on ready-to-eat junk food alone. You had better get on a fruit diet instead. You won't feel it because you are busy building your product or chasing your next customer, but your friends know how many parties you are missing. I am not trying to scare you, but it is scary because I have experienced this in my startup life. If you still want to take a leap then go through the checklist below before taking the final decision. 1. Why quit? Is it because I hate my boss or work, I want to pursue my passion, or I want to become my own boss? 2. Can I work on my dream venture while doing a full-time job? How much time will it take to launch an MVP (Minimum Viable Product)? 3. What are my Plans A and B? What if both fail? Do I have plans C and D? 4. How much do I spend monthly? Calculate your present expenses and future expenses. 5. How much do I need to support the family in the future? Consider your obligations like marriage, your kid’s education, and the foreign vacation you promised your family. 6. How long can I survive without a salary? If you think your venture will start paying you back in one year then save money for yourself for at least two years, because your plans will fail quite often. Last question to ask yourself. If I quit my job and follow my passion only to have it fail miserably after two or three years of dedicated work, how will I feel? If you feel terrified, then reconsider your decision. We discussed this question in my previous startup. If I failed, I was willing to bear the pain of failure. This blog is written by Collecting some source of Mr.Pardeep Goyal (Indian Entrepreneur), Mr.Elon Musk (American Enterpreneur). Very interesting blog. I always have a plan B. Cheers! Greetings from Sweden.